After Kenya’s loss of rights to host CHAN 2018, Football Kenya Federation has pledged to continue developing sports facilities. Kenya was on Saturday stripped of the rights to host next year’s African Nations Championship by the Confederation of African Football. In a statement on its official website, CAF said the decision followed Kenya’s slow pace in preparing for the tournament. Kenya won hosting rights for the continental football championship in February 2014 but not a single stadium has been constructed to date. But in a statement on Saturday night, FKF president Nick Mwendwa said the government and stakeholders will establish four modern stadia and several training pitches. When Mwendwa spoke to us by phone shortly after the news broke, he said the repeat elections slated for October 26 were a major factor in the decision. He followed this up with a tweet: Yes, we lost CHAN. Bad day for Kenya. Now we continue the journey. Build stadia, develop youth, coaches and work harder. The president noted they did “everything humanly possible” to ensure the CHAN dream became a reality for Kenya and the East African region. “Unfortunately, lack of up-to standard infrastructure to host the competition and the need to improve existing ones, meant Kenya would inevitably play second fiddle to better-placed countries that have invested heavily on infrastructure development over the years,” read the statement. Mwendwa thanked CAF President Ahmad Ahmad and members of his technical team who traversed the country on numerous inspection visits. The president also praised efforts by Sports CS Hassan Wario, PS Kirimi Kaberia and CHAN 2018 Local Organising Committee members led by FKF chief executive Robert Muthomi. He also recognised events director Herbert Mwachiro, members of the public and others who supported the bid for Kenya to host the games. 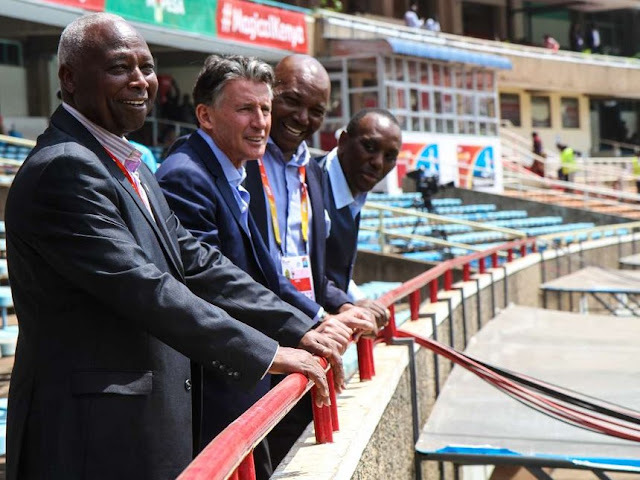 Kenya hosted the IAAF WU18 championships at Kasarani stadium in Nairobi in July.